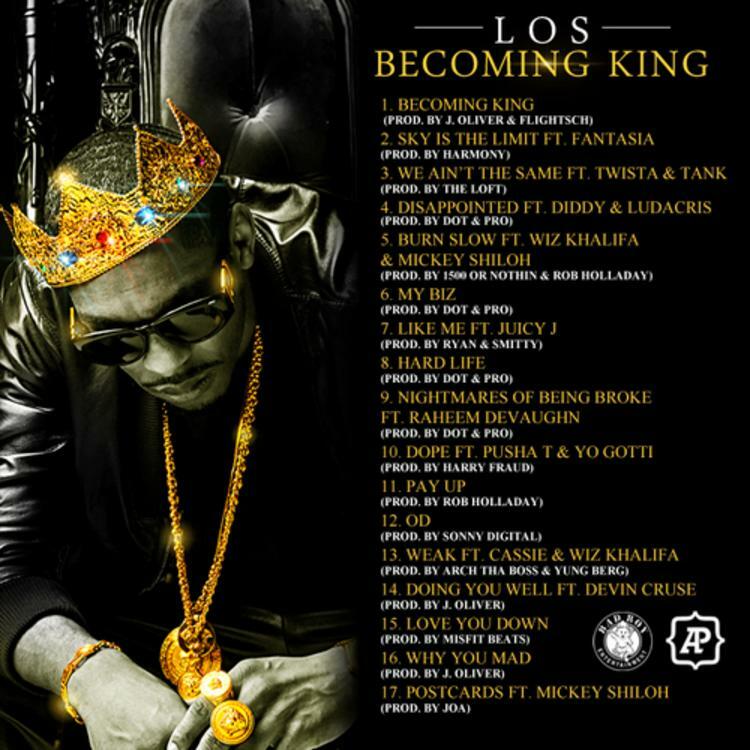 King Los delivers his anticipated mixtape "Becoming King," with features from Wiz Khalifa, Cassie, Diddy, Ludacris, Pusha T, Yo Gotti and more. Give Becoming King a spin - it's the latest tape from King Los, having dropped on Thursday, April 25th, 2013. King Los's musical situation is improving with every new release, and Becoming King will most definitely help the cause. It's a fine addition to the growing body of work King Los has been developing since stepping foot in the game. We're looking forward to what King Los has in store. These artists are featured on the project: Fantasia, Twista, Tank, Diddy, Ludacris (prod by Dot Pro), Wiz Khalifa (prod 1500 or Nothin Rob Holladay), Juicy J, Raheem DeVaughn (prod by Dot Pro), Pusha T, Yo Gotti, Cassie, Wiz Khalifa, Devin Cruise (prod by J Oliver), Mickey Shiloh (prod by Joa). The following producers contributed to the mixtape: J Oliver, Harmony, The Loft, Dot Pro, Ryan Smitty, Harry Fraud, Rob Holladay, Sonny Digital, Arch Tha Boss & Yung Berg, Misfit Beats. 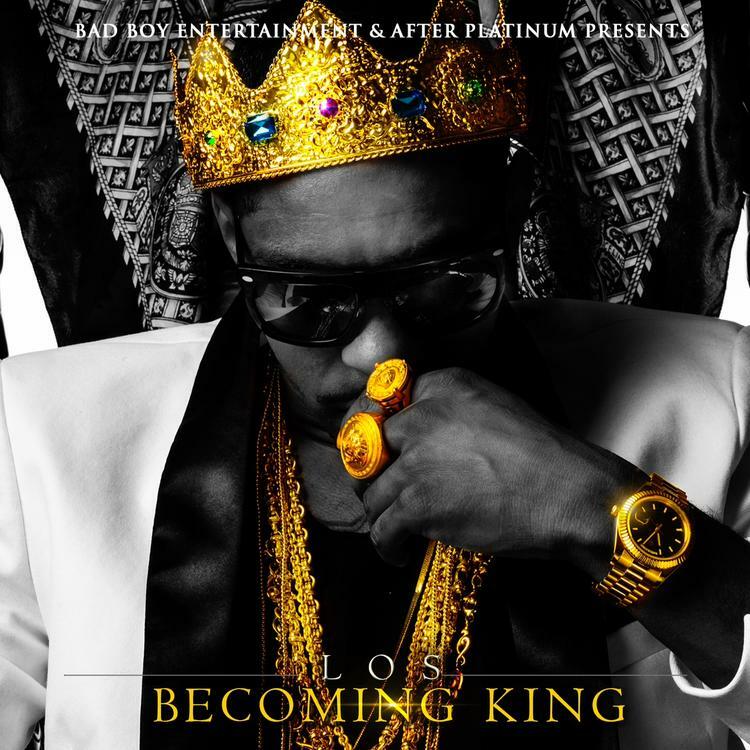 Have you heard King Los's Becoming King (prod by J Oliver)? If you're feeling this, make sure to hit up King Los's profile page for the latest info, news, songs, and mixtapes. Don't forget to follow King Los on Facebook and Twitter.